Woo hoo its finally friday again! Supposed to have no school on friday but Im still going back to school later. roar. Bryan's party had loads of good fooddd! yumyum. But his house is too ulu ah all the way in the east :( his nephew is freaking cute though hahaha! aye must remember to take a photo of our polaroid. anyway anan was back from japan! and she curled her hair so she looked super feminine and cute!! Went to comex with xiu after lessons ytd! good thing about smu is the location haha can get to suntec in like 15 mins!! so convenient. 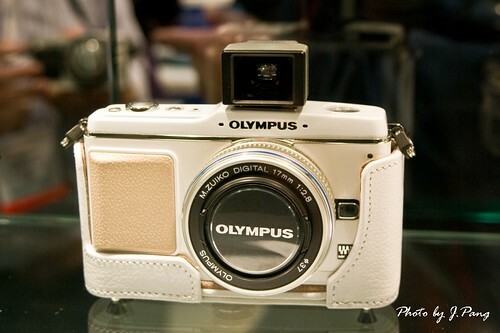 anyway was super tempted to buy the olympus p1 it was only $500 with!!! but old model alr :( sigh but its super prettyy.. nvm shall wait for the price of p3 to drop :/ saw a lot of cheap point and shoot cameras too with all the filter effects, super tempting :( but i shall stick to my 7.2 megapixel cybershot for now -.- super outdated omg. had ocsp meeting at night! not bad ah seems like a fun group haha plus our mini group that was in charge of pre and post csp events were super chill haha! and we were still thinking of dropping by bangkok after the ocsp before coming back LOL but lazy to plan man. i really wanna go bangkok! roar. but with meetings every thursday, i wont be able to go for waacking sessions :( sadded ah! sigh makeup lessons tmr with aw critique writing test. sighs.